Do mushrooms heal? Well, the humble mushrooms on your plate of English breakfast have a long, rich history of therapeutic use. China, Japan, Russia, Korea, and North America are just a few places with a past (and sometimes present) that used mushrooms for their healing properties. Let us look at 10 medicinal mushrooms that are worth knowing about. 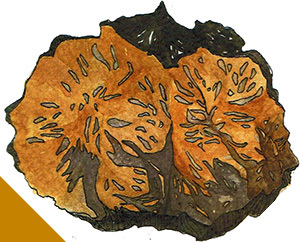 Chaga mushrooms (Inonotus obliquus) are a ‘gift from God’. That’s what Siberians call them. 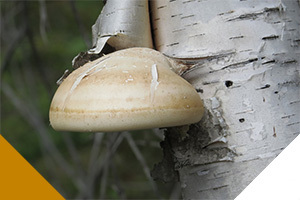 They are parasitic fungi that target mostly birch trees. Alder, oak, beech, and poplar are a few others that these may infect. These melanin-rich black mushrooms look like burnt charcoal engulfing a rusty inside. You can see them on the outside of the host tree’s trunk. Chaga is commonly found in very cold regions with abundant birch forests like Siberia, Canada, Alaska, and some places in Northern Europe. Chaga mushrooms have had their place in folk medicines since ancient times for combating ailments like cancer and as a general health tonic. Recent research, though still not enough to be conclusive, now backs their health benefits. Antioxidants including polyphenols, and SODs (Superoxide dismutase) – high antioxidant levels contribute to their highest rating on the ORAC (Oxygen Radical Absorption Capacity) scale. 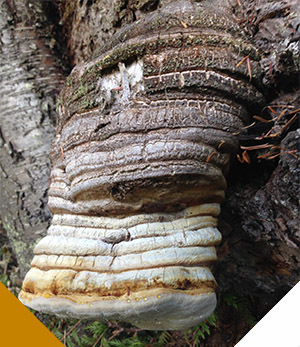 Balanced immune functions – Chaga boost an underactive immune system and suppress an overactive one. Fight free radicals – They help counteract damage-causing free radicals and provide defense against diseases like heart problems and cancer. Fight Inflammation – They help fight inflammation in the body. Longer life – They prevent oxidative stress and thus act as anti-aging products. Help with ulcers and gastritis – Chaga mushrooms have been traditionally used against these diseases. A healthy immune system, a result of Chaga consumption, helps fight bacteria like H. pylori, which usually cause ulcers and gastritis. Control blood pressure and cholesterol levels – These mushrooms can control blood pressure and help convert bad cholesterol into good cholesterol. Thus, they promote better cardiovascular health. Prevent cancer – Studies on mice and human cells have shown that Chaga mushrooms have the potential to prevent and treat cancer. Future research on humans can take cancer treatment to the next level. Gift a healthier skin – Chaga mushrooms contain melanin, which protects the skin from the sun. Their anti-oxidant properties can give you glowing healthy skin. Although Chaga consumption is considered safe, they may interact with certain medications and may be unsafe under some circumstances. Consult your doctor before adding Chaga to your diet. Avoid their use if you are pregnant or breastfeeding, due to lack of research. Bleeding and bruising risk when taken with anti-coagulant and antiplatelet medicines like aspirin and warfarin. Risk of hypoglycemia due to interaction with diabetes medication. They slow blood clotting; so, stay away if you have a surgery scheduled for the next couple of weeks. These may also affect autoimmune disorders in an undesirable way. Take the chunks in a mug. If using powder, place it in a tea infuser or wrap it in a coffee filter and place it in a mug. Heat water to around 125 C. Pour the water into the mug. Let steep for 3 – 5 minutes. Add honey or maple syrup for sweetness. Cordyceps include around 400 species of fungi that are mostly parasitic on insects. Cordyceps sinesis are mushrooms found in high altitudes of China and Tibet. These mushrooms infect and mummify caterpillars of a certain species. Infected caterpillars bury themselves in the soil. In the summer months, cordyceps start appearing above the ground as thin orange canes. 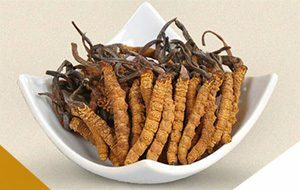 Despite an unusual life-cycle, cordyceps, because of their health benefits, have been used in traditional medicine in the East since ancient times. Oxygenation – This is the most important function cordyceps perform. They allow more oxygen to enter the blood, leading to an improved cell function and better levels of energy. Manage blood sugar levels – The polysaccharides in cordyceps help manage blood sugar levels and cholesterol levels. Support heart health – They increase the efficiency of the circulatory system and help to maintain regular heartbeat. Improve the immune system – Cordyceps not only strengthen the immune system but also regulate it. Recovery from respiratory diseases – These can reduce the symptoms of asthma in adults and speed up the recovery from bronchitis and other respiratory illnesses. Improve kidney function – Cordyceps can enhance kidney function and help treat kidney damage due to various reasons including drugs, chronic kidney disease, and contrast dyes. They may also lead to a decreased need of conventional medicine and prevent failure during kidney transplant. Maintain libido – These have been used by both men and women to maintain sexual function and enhance reproductive activity. Fight fatigue – Thanks to the adenosine in them, these mushrooms kindle the production of ATP, a source of energy. As they help in oxygenation and in reducing heartbeat, they can make you feel more energetic. Avoid the use of cordyceps if you have an autoimmune condition, or a bleeding disorder. They can cause side effects when allowed to interact with caffeine, anti-coagulants, and immunosuppressant drugs. In other cases, side-effects are minor and may include nausea, dry mouth, diarrhea, and gastrointestinal discomfort. Put all the ingredients in a soup pot. Reduce the heat and simmer for around 2 to 3 hours. Shiitake mushrooms (Agaricus edodes) have made their way from the forests of Asia to modern grocery aisles for a good reason. These small meaty mushrooms not only provide nutrition and health benefits, but also are easy to incorporate into various recipes. Shiitake, in Japanese, means Castanopsis (shii) tree mushrooms. These mushrooms grow in clusters on the dead logs of the Castanopsis, chestnut, beech, maple, oak and other deciduous trees. They are mostly found in the tropical climate of southeast Asia. Linolenic acid, an essential fatty acid. Boost immune function – These, like other mushrooms, play a role in balancing the immune functions. Help in cancer treatment – Shiitake mushrooms have the potential to fight cancer-causing cells. Their lentinan content helps in the healing of damaged chromosomes that result from anti-cancer treatments. Maintain heart health – The Eritadenine in these mushrooms helps maintain cholesterol levels. Their phytonutrients prevent plaque buildup in blood vessels, thus maintaining blood pressure and heart health. Reduce obesity – They raise satiety and encourage slow nutrition absorption. Also, they are low in fat. Thus, they can prevent obesity. Are Anti-microbial – These mushrooms have anti-microbial properties. They can help treat diseases like gingivitis. Improve brain function – Consider including them in your diet to fight brain fog and improve your cognitive ability. Balance hormones – These mushrooms can naturally balance your hormones including adrenal function. 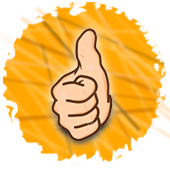 They can thus give you an energy boost. Good for skin health – Thanks to the selenium and zinc in them, they can come in handy for fighting acne and can help your skin to heal. Provide Vitamin D – These are one of the very few dietary sources of Vitamin D. 100 grams of shiitake mushrooms contain 18 IU of the vitamin. Shiitake mushrooms are safe when included in your diet, but may cause the following side-effects when used in medicinal quantities. Sauté the ginger and garlic till aromatic (about 30 seconds). Add mushrooms. Stir fry till lightly brown. Add vegetables if using. Stir fry till done. Mix the soy sauce in. With looks as interesting as its various names, the lion’s mane (Hericium erinaceous) or monkey head or satyr’s beard mushroom has its origins in North America, Europe, and Asia. It is a cluster of white spines dangling from hardwood. Lion’s mane has gained popularity because of its neuro-regenerative capabilities, which are under scientific research. Two classes of NGFs (Nerve Growth factors), the hericenones and the erinacines, present in this mushroom may be responsible for their effect on brain function. Let’s see their possible health benefits. Increased cognitive ability – These mushrooms may prevent decreasing cognitive ability as you age. They can enhance short-term memory, focus, and concentration. 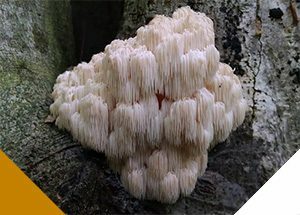 Fight against neurodegenerative problems – Lion’s mane mushrooms can slow or even reverse the neurodegenerative process in diseases including Alzheimer’s and Parkinson’s. Fight cancer – Research is showing positive results in this area too. Lion’s mane can reverse or slow down the progress of different types of cancer including leukemia, lung, stomach, cervical, liver, breast, and colon cancers. Promote heart health – They can curb the increase in bad cholesterol and prevent heart disease. They can also prevent the occurrence of stroke by preventing formation of blood clots. Maintain digestive health – They have the potential to shrink gastric ulcers. Their anti-inflammatory properties help maintain a healthy digestive system. They can improve symptoms of inflammatory bowel disease and gastritis. Reduce inflammation – These mushrooms provide a natural way of reducing inflammation. They can attack H. Pylori, the bacterium behind many inflammatory conditions. Fight free radicals – The lion’s mane mushrooms are powerful anti-oxidants that can reduce oxidative stress and fight free radicals. Prevent osteoporosis – This is again due to their high levels of anti-oxidants. Good for diabetes – Animal studies indicate these mushrooms may be able to relieve the symptoms of diabetes and pain due to diabetic neuropathy. Immune system boosters – Like other mushrooms, their polysaccharide content helps improve immune function. Studies reveal that these are safe to consume. Singular cases of side effects like dermatitis and breathing disorders have been reported. Add the chili flakes and paprika. Sauté for a minute. Add the mushrooms followed by shallots. Sauté until they turn golden brown, stirring frequently. Season with salt and pepper. Sprinkle the parsley. 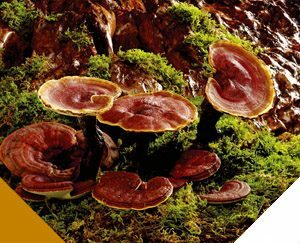 Reishi (Ganoderma lucidum) is the Japanese name of the Chinese Ling Zhi mushroom. It’s known as the panacea polypore due to the belief in its healing powers. This mushroom grows on the trumps or at the base of deciduous trees, mostly maple. It is a bit rare to find this growing in the wild. The mushroom is easily cultivated, though, on hardwood logs and woodchips. Reishi is yet another medicinal mushroom in used in traditional Chinese medicine for restoring the normal functioning of the body. Improve immune function – Reishi mushrooms are immune modulators and work to balance the immune system. Protect from tumors and cancer – The high polysaccharide content in reishi mushrooms impedes harmful cell mutations while maintaining the healthy DNA. Thus, they prevent cancer and tumors. Improve liver and kidney functions – These mushrooms can prevent liver disease and help to maintain a balanced functioning of the liver and kidney. Improve circulatory system health – This benefit attributes to the triterpenes in resihi mushrooms, which can lower blood pressure, maintain healthy cholesterol levels, and reduce inflammation within blood vessels. Balance hormones – Reishi balance the functions of hormones and improve the functioning of the endocrine and nervous systems. Reduce inflammation – Reishi mushrooms are anti-inflammatory. They provide a quick relief from infections, pain, and inflammations. Fight anxiety and depression – They improve brain function. They can relieve depression and anxiety in patients recovering from anti-cancer treatments. Fight allergies – They can relieve almost all types of allergies. Prevents ulcer formation – As reishi prevent formation of ulcers and reduce body fat, they help maintain a healthy gut. Fight Diabetes – Reishi mushrooms raise the level of hemoglobin in the blood without raising blood sugar levels. Thus, they can relieve the symptoms of Type II diabetes. Reishi mushrooms ware found to be safe for adults if consumed appropriately for up to a year. Side effects have been quite minor. Heat it over a low heat till warm. Maitake (Grifola frondosa) is also known as ‘hen of the woods’, ‘signorina’, and ‘sheep’s head’. A Japanese legend says that when a group of woodcutters and nuns found the mushroom during a mountain trail, they danced with joy. Thus, its name. These mushrooms grow mostly towards the end of summer and autumn, at the base of oak trees. 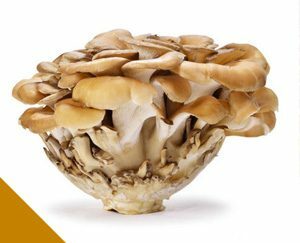 Fight and prevent tumors and cancer – The D-Fraction in maitake mushrooms improve the function of certain immune system cells, which are responsible for targeting tumor cells. D-Fraction also helps fight breast cancer and bladder cancer cells. Promote heart health – Maitake lower cholesterol levels and help maintain the health of arteries. Boost immune system – Polysaccharides in maitake regulate the immune system. Provide Vitamin D – Compared to other mushrooms, these have a high level of vitamin D2. After a UV treatment, 100 grams of these can have more than 2000 IU of the vitamin. Useful in Diabetes – Maitake mushrooms slow down the absorption of glucose and thus make diabetes more manageable. Fight free radicals – They fight free radicals and protect against inflammation and many diseases. Maitake mushrooms are mostly safe for consumption. In a mixing bowl, toss the mushrooms with oil, thyme, and garlic. 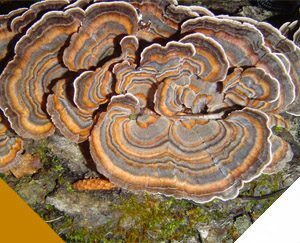 The Turkey tail (Trametes versicolor) resembles a beautiful turkey’s tail with concentric rings of different shades. It is abundant everywhere. It grows on hardwood logs and stumps. They have anti-microbial and anti-viral properties. Treat common cold and flu – Turkey tail mushrooms are known to help fight infections and regulate the immune system to prevent infections. They may help if consumed during the flu season. May fight breast cancer – These mushrooms can be part of natural anti-cancer treatments just like others including reishi and maitake. 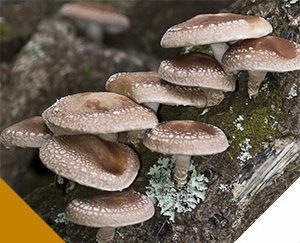 Support in post-cancer treatment – These mushrooms stimulate the immune system. They help cope with recovery after chemotherapy. Treat gum disease – These can help heal gum disease caused by HPV and in other infections. Help digestion – Turkey tail mushrooms contain prebiotics, which are good for the gut. Help with HIV – When consumed with other medicinal mushrooms, these have seen to help in the treatment of Kaposi’s sarcoma, a skin cancer affecting AIDS patients. The mushrooms may also help HIV patients without sarcoma. Turkey tail mushrooms are mostly safe for consumption. They may cause minor side-effects including bowel problems and darkened nail pigmentation. Avoid if pregnant or breastfeeding. Consult your doctor before consuming if you are on any medications or suffer from some health conditions. Strain; add lemon and honey. Enokitake (Flammulina velutipes), also called Enoki, is commonly found and used in East Asian countries including Japan, China, Korea, and Vietnam. These mushrooms are long and thin, resembling noodles. They can be used as a substitute for noodles and spaghetti. Reduce risk of cancer – Cancer rates were found to be lower by around 40 percent in regions where enoki are consumed. 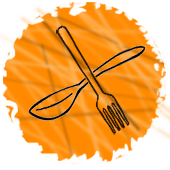 Maintain cholesterol levels – Enoki mushrooms are capable of lowering cholesterol. They also prevent oxidation of LDL cholesterol and thus, protect against atherosclerosis, a condition that involves hardening of arteries. Boost immune system – These mushrooms boost immune function, protecting the body against various types of diseases. Maintain digestive functions – Enoki improve metabolism, prevent constipation, and help with proper functioning of the digestive system. Avoid them if you are suffering from issues that weaken the spleen and stomach. Add mushrooms. Sauté for a minute. Give a quick stir and let it cook, flipping once in between. Agarikon (Laricifomes officinalis) is one of the oldest mushrooms known; some of them are a hundred years old! These beehive-shaped mushrooms are a bit rare. They are mostly found in Europe and parts of North America. Their use for their healing ability dates to around 2000 years ago. Interestingly, agarikon had their use for spiritual purposes too; they were used as spirit catchers and grave guardians. Treat TB – The mushrooms possess anti-tuberculosis compounds. They have been used to treat TB since ancient times. Fight Flu and infections – They have anti-viral, anti-bacterial, and anti-fungal properties. So, they help heal viral problems like flu and colds and bacterial and fungal infections caused by E-coli and Candida. Good for the gut – Agarikon mushrooms maintain the health of the GI tract. Fight inflammation and pain – They help with inflammation and pain in diseases like arthritis, lumbago, and kidney inflammation. Boost immune system – Like other mushrooms, these are good for the immune system. There are no considerable side effects when these are consumed in moderate doses. As with other mushrooms, avoid if pregnant or breastfeeding. Consult your doctor to be sure you won’t be prey to interactions with medications and health conditions. Blend all the ingredients. Froth it up. Birch polypore (Fomitopsis betulina) grows on birch trees; hence, its name. It’s also called razor strop fungus. This mushroom is found in the Northern Hemisphere in North America, Europe, and Asia. It has a history of interesting uses. It may have been used as a tinder by stone age men. It was used as a final wipe for razors by barbers. It has also been used as an emery board to polish metals. Of course, it has many medicinal uses. These mushrooms contain many useful compounds including betulenic acid, triterpene acids, and piptamine. Fight infections – They have compounds that fight viral, bacterial, and fungal infections. Boost immune system – These have long been used as a tonic for the immune system. Reduce inflammation – These have anti-inflammatory properties. Fight tumors and cancer – Thanks to the betulinic acid and other compounds, the mushrooms can cause apoptosis, i.e., they destroy tumor cells, while keeping other healthy cells in-tact. Heal wounds – These are anti-septic. They can be used to make a self-adhesive plaster for wounds and blisters, a handy aid for survival. These do not report any side effects. The usual precautions should be observed if you are under any medications, or have any health conditions. Add the dried mushroom slices to the water. Bring to a rolling boil. Lower the heat and simmer till you get a nice color. 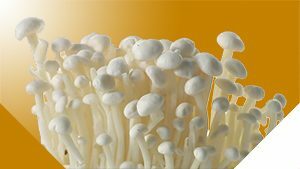 Medicinal mushrooms have the potential to treat multiple health conditions when consumed in moderation. Research may help us tap into their benefits a bit more deeply. Till then, why not swap your morning cup of caffeinated tea for some mushroom tea or coffee?